What if you can no longer access your valuable data because of a hard drive problem? GRBackPro is a Windows data backup program that helps protect you from such event. You can define multiple backup sessions: back up a whole disk, a single folder or just a few files. An integrated scheduler will let you start your backup automatically without any intervention, even if your PC is in stand-by, and you can set conditions such as paths available, no user input and CPU loading to fine tune your backup process. GRBackPro supports networks, USB drives, hard drives and all removable hard drives. Tapes are not supported unless seen as a drive letter. You can install it as a Windows Service to have your backups start even if no users are logged in. It supports Windows Volume Shadow Copy on both 64 and 32 bit Systems in order to backup open and locked files. GRBackPro let you handle long path names up to 1024 characters. Unicode file names are supported even inside the zip archives. 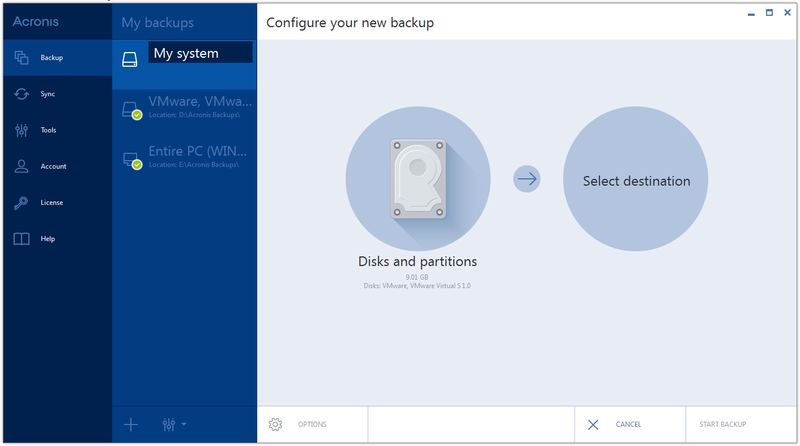 You can span multiple destination disks so that you can easily build a multi disk backup set. Split mode to easily burn DVDs after the backup has been completed. An History mode let you keep multiple backup sets. Integrated restore facility to easily restore your files or whole backups and also keep two or more PCs synchronized. You can execute one or more tasks before and/or after the backup, such as start/stop/restart services close an application, start a program, pause the backup, open a message box, end a process or send an email (which lets you send the backup log report if any error has been found in the backup. Registry backup both locally (for an easy manual restore) or on the destination disk. Automatic software update facility allows you to easily update. Fully featured backup software with many professional options built to solve any data backup problem. GRBackPro is very suitable for inexperienced users because it integrates a Backup Wizard that guides the user through the process. Using GRBackPro Professional Backup Free Download crack, warez, password, serial numbers, torrent, keygen, registration codes, key generators is illegal and your business could subject you to lawsuits and leave your operating systems without patches. We do not host any torrent files or links of GRBackPro Professional Backup on rapidshare.com, depositfiles.com, megaupload.com etc. All GRBackPro Professional Backup download links are direct GRBackPro Professional Backup full download from publisher site or their selected mirrors. Avoid: oem software, old version, warez, serial, torrent, GRBackPro Professional Backup keygen, crack. Consider: GRBackPro Professional Backup full version, full download, premium download, licensed copy.